How to Manage Ring Groups| Create and Add Members to Groups "
How to Manage Ring Groups? Manage and create ring groups based on the department, expertise or the location. This is useful when you have multiple people handling customer calls. For example, you can have two groups: Sales and Support. 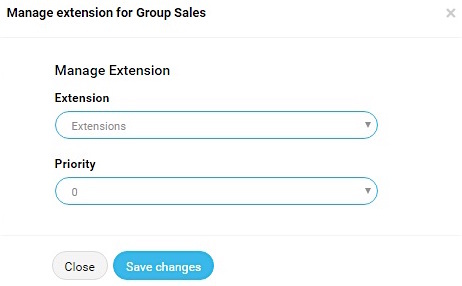 Extensions 101, 102, and 103 are part of Sales group. Extension 201, 202, and 203 are member of Support group. Groups can be configured as Sequential or Ring All (Simultaneous). 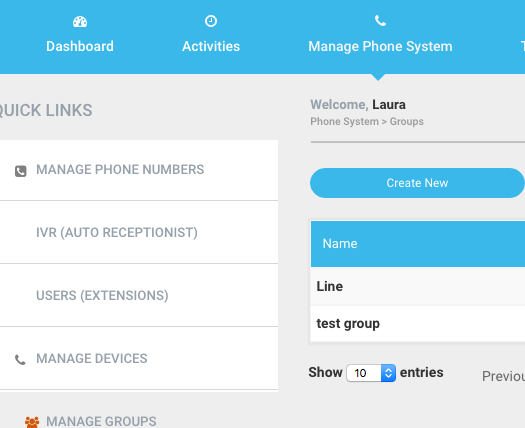 1.Log into your account and select,”Manage Phone System” from the dashboard and then click on,”Manage Groups”. 2. Create Ring Group: Use create a new group, click on”Create New”. 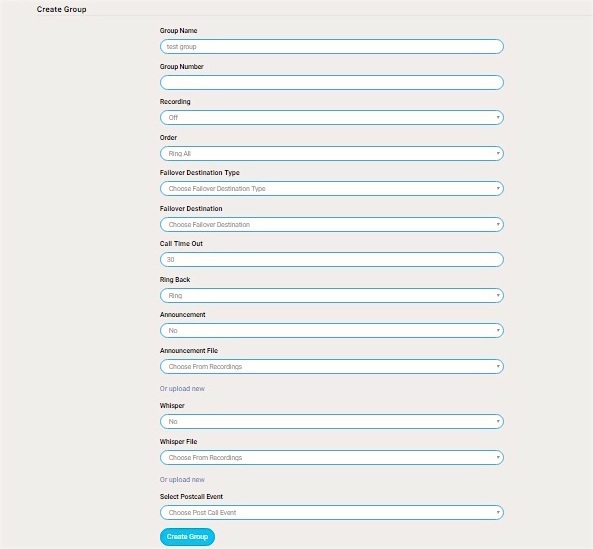 It will take you to a form to fill for creating a group. Once the group is created, then the members to groups will be added later. Group Name: Choose an easy to remember name. Group Number: Every group in your account must be a unique number. It can be anything from 01 to 99. Recording: This feature allows incoming calls to be recorded to this new group. Order: Ring All: Will ring every employee extension or phone number in the group. Sequential: Will ring one employee at a time in a sequence. If the first representative does not answer the call, it will ring the next one. Failover Destination: Based on the failover destination type, the call will be handled incase of failover. Default VM: If no one in the group answers the call, the call can be forwarded to a voicemail. Call Time Out: How long should the phone ring before the system decides to take the next action? Usually 15 seconds for Sequential and 30-40 second for Ring All. If one of the members is Cell Phone, call time out should be less than 30 seconds. Otherwise cell phone VM will be triggered in 30 seconds and the phone system will consider it a call pickup. Ring Back: What caller should hear while waiting for someone to pick up the phone? Default Music on hold or you can have your customer audio file. Announcement File: File to be played when the announcement is enabled. Whisper: Play a message to end user who is receiving the call. ‘Sales’ for example, will prepare the end user before the call connects. This message is only played to the end receiver, while the caller is still on Music Hold. This feature can be enabled or disabled as desired. Whisper File: File to be played for whisper message before the call connects. Remember this file should only be one to two words. Post Call Event: (For Advanced users) Phone system allows you to create post call events. For example, email all the calls coming to sales group to specific email address, or create an event in Google analytics for any call coming to this group. Click on “Create Group” to use this feature. 3. Add members to Group: To add members to a group, click on the Group name and a new window will pop up on the right. On the top you will see group name and group number. If you already have some members in the group, you will see the list here. You can delete or edit the list. To add a new member, click on “Add Ext” button in the new pop window. Group member can be an extension of 11-digit US phone number. Priority is useful for sequential dialing; person or staff member on zero priority is called first before the one on priority 1,2,3,4 or 5 subsequently. Make a selection and save changes. 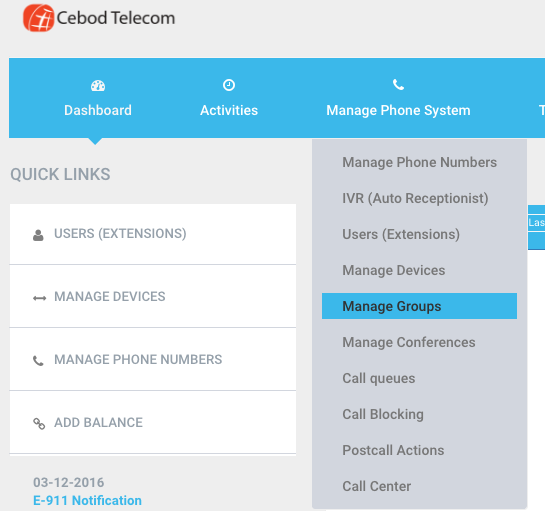 Find answers to getting started, online management, call routing, porting and much more.